Sold Black 3D Printing 1.75mm ABS Filament Roll, PHYSICAL: 1.05g/Cubic CM, MFR: 200C/5kg - 1.4g/10 min, 220C/10kg - 20g/10min, MVR: 220C/10kg - 20cm- 3/10 min, POCESSING TEMP: 190 to 230C. Sold Blue 3D Printing 1.75mm ABS Filament Roll, PHYSICAL: 1.05g/Cubic CM, MFR: 200C/5kg - 1.4g/10 min, 220C/10kg - 20g/10min, MVR: 220C/10kg - 20cm- 3/10 min, POCESSING TEMP: 190 to 230C. Sold Brown 3D Printing 1.75mm ABS Filament Roll, PHYSICAL: 1.05g/Cubic CM, MFR: 200C/5kg - 1.4g/10 min, 220C/10kg - 20g/10min, MVR: 220C/10kg - 20cm- 3/10 min, POCESSING TEMP: 190 to 230C. 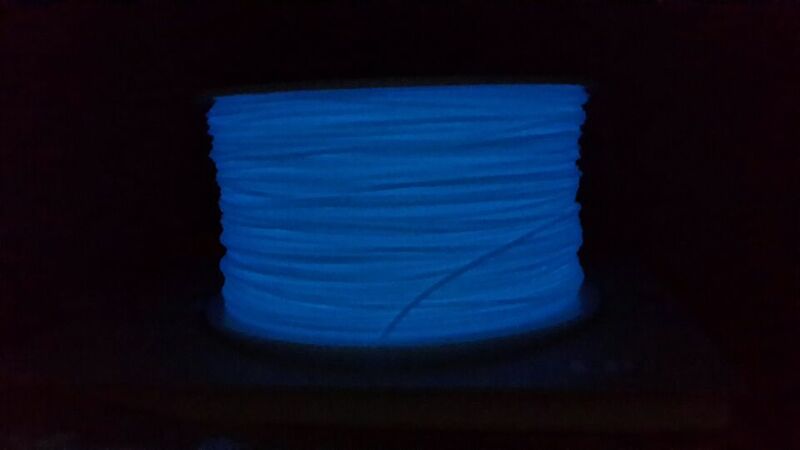 Glow in Dark Blue 3D Printing 1.75mm ABS Filament Roll, PHYSICAL: 1.05g/Cubic CM, MFR: 200C/5kg - 1.4g/10 min, 220C/10kg - 20g/10min, MVR: 220C/10kg - 20cm- 3/10 min, POCESSING TEMP: 190 to 230C. 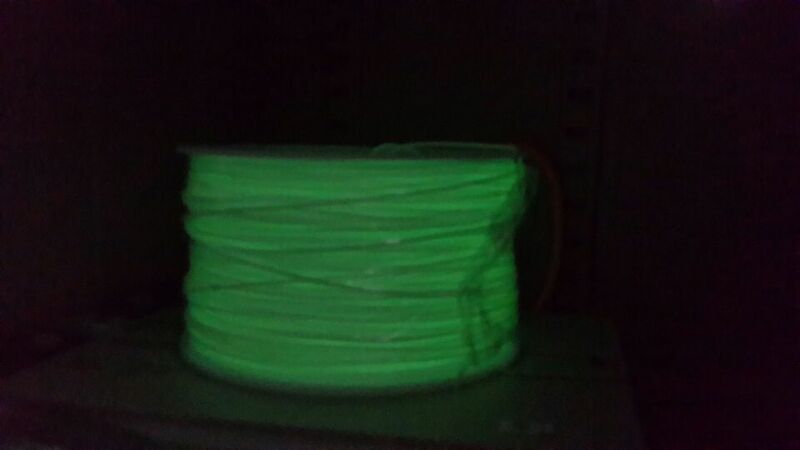 Glow in Dark Green 3D Printing 1.75mm ABS Filament Roll, PHYSICAL: 1.05g/Cubic CM, MFR: 200C/5kg - 1.4g/10 min, 220C/10kg - 20g/10min, MVR: 220C/10kg - 20cm- 3/10 min, POCESSING TEMP: 190 to 230C. Sold Green 3D Printing 1.75mm ABS Filament Roll, PHYSICAL: 1.05g/Cubic CM, MFR: 200C/5kg - 1.4g/10 min, 220C/10kg - 20g/10min, MVR: 220C/10kg - 20cm- 3/10 min, POCESSING TEMP: 190 to 230C.